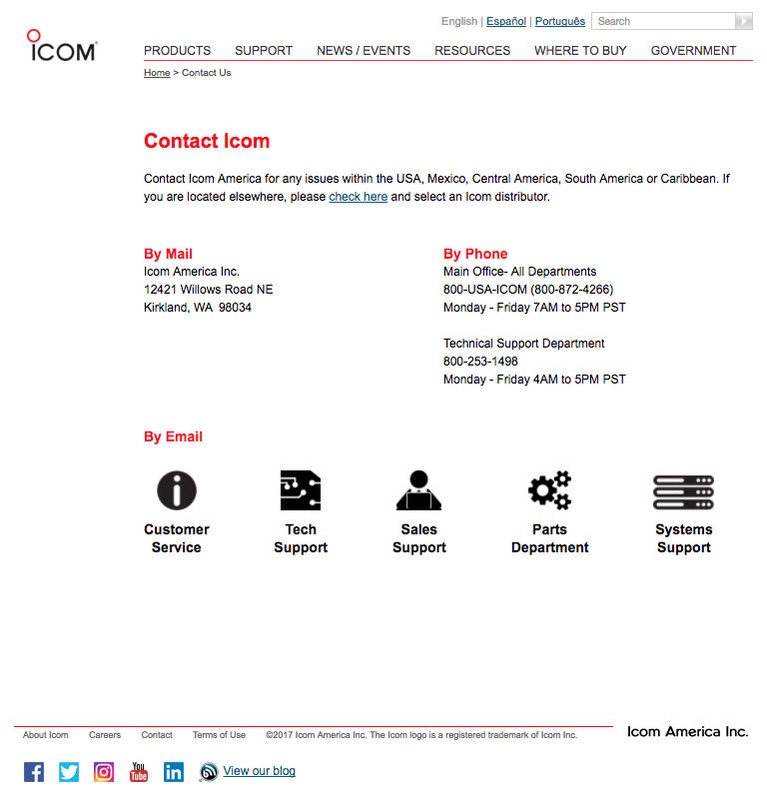 As a manufacturer and distributor of two-way radios, Icom offers support through various channels, including Customer Service, Tech Support, Sales, Parts and Systems. To best serve customers, they are provided the option to contact the appropriate division by phone or by filling out an online form. 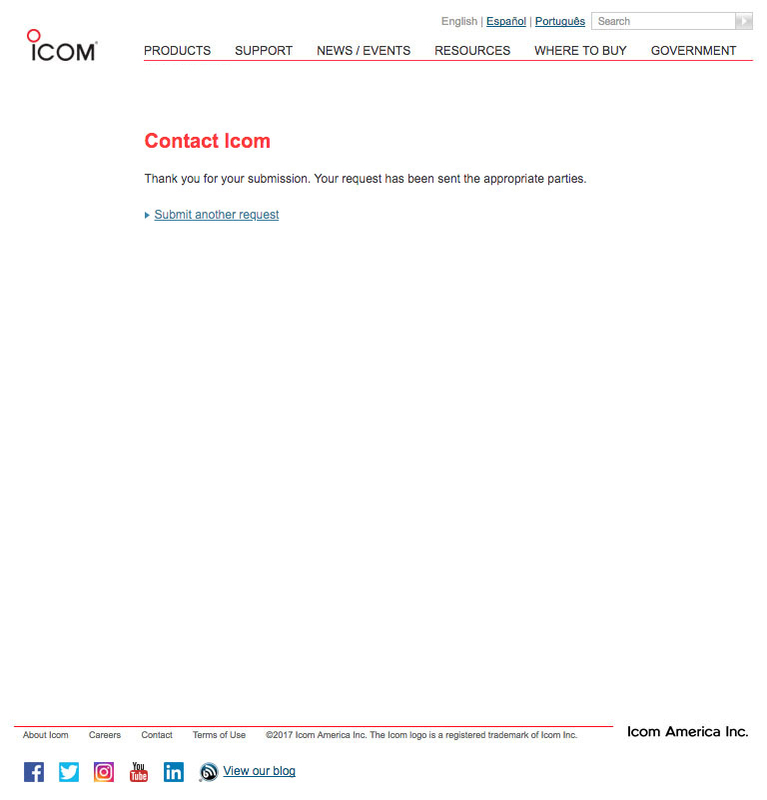 Though the contact form had a drop down menu intended to direct their inquiry to the appropriate channel, the Tech Support Department was receiving the majority of the inquiries. Upon speaking with our Tech Support Manager, it was revealed that customer support times were compromised across all departments due to this inefficiency. 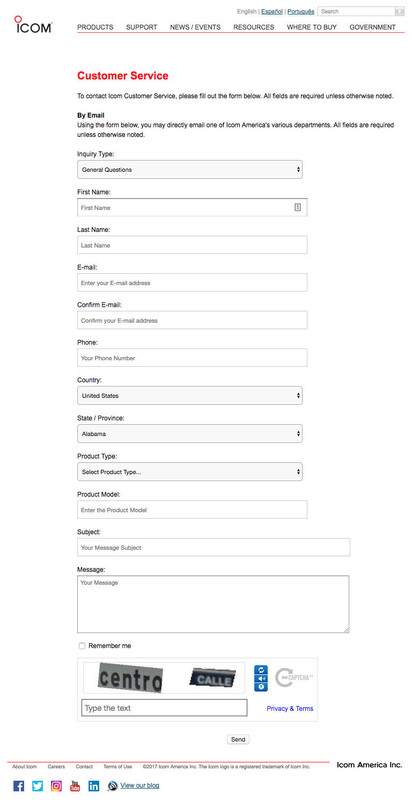 To solve this problem, we re-designed the page so that users first had to select which department to contact and were then taken to the appropriate form. Shortly after deployment of the re-design, success was confirmed quantitatively through metrics reported by our Tech Support Manager as well as though Google Analytics. 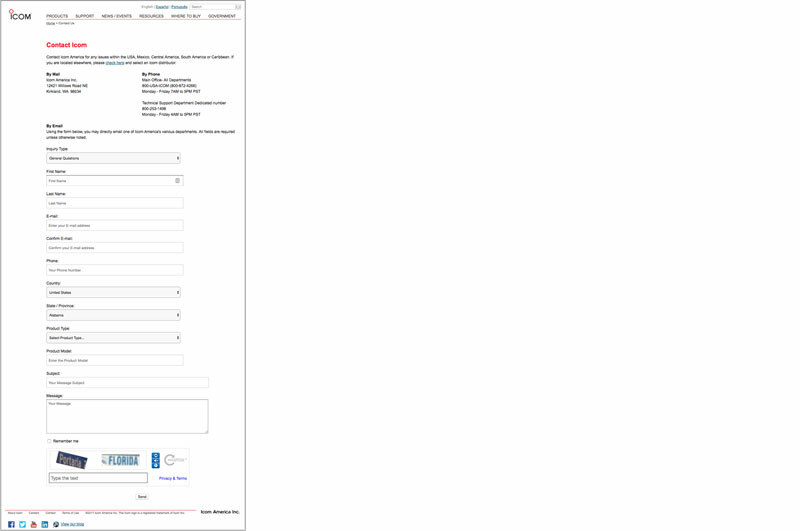 My role in this project included information architecture, wireframing, UI design and front-end development. 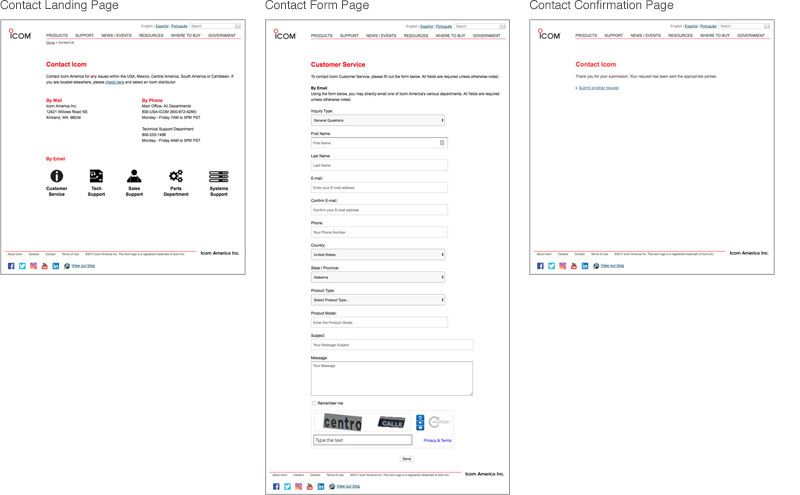 Below are screenshots of the Contact page before and after the re-design.